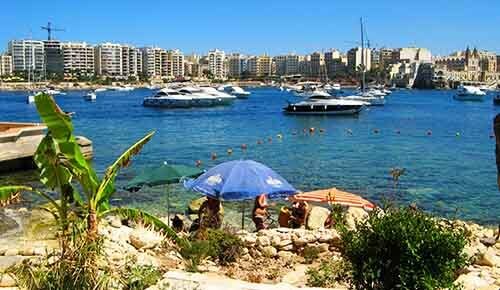 Malta rock beaches are preferred by many. One can choose from both rocky and sandy beaches. 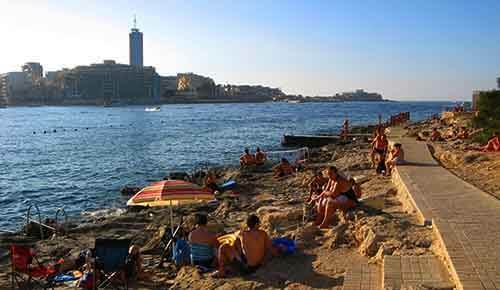 Malta is a rock formation in itself so finding a rocky beach is not difficult. People tend to frequent sandy beaches more than rocky beaches as a general rule. There are various reasons for this but rocky beaches certainly have their advantages. Swimmers tend to prefer them as they are less messy than sand and in many locations one can find expanses of flat rock making it convenient and comfortable to spread out a beach towel for sun bathing. Due to the many rocky beaches, these tend to be less overcrowded than sandy beaches and now-a-days many of these beaches are served with portable caravan bars serving drinks and snacks. On many beaches one can find the facility of hiring sunbeds and umbrellas. 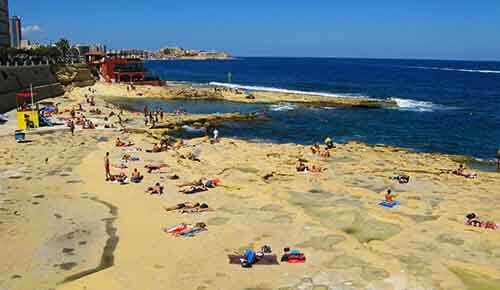 To choose one you can just have a look at our list of beaches or at our Malta rocky beaches map. However it is advisable to always exercise caution when making your choice of beach. It is good to ask due to any currents especially when the sea is rough. There are locations where it is difficult to walk on and might even be difficult to climb out of the sea. It is something that you have to think about and if you are alone do not go somewhere which completely unfamiliar to you. It is important that you ask for your own safety and your family especially if you have young children in tow. Rocky beaches are easier to walk on and tend to be cooler than sand and more flat. But there are locations where the rock is rough or fairly rough and so again wearing flip flops or shoes are a must. There are places which are shaded by high rocks. Generally these areas are more popular as usually a breeze is not missed either. While you are at a beach it will be nice to explore and move to a higher ground to see the beauty of our beaches. For kids sand might be safer but if you choose to go on our Malta rock beaches, go to a flat area for them to be able to play safely.